As I have noted several times on the blog, I have seen no convincing evidence that Dalmatians are from Croatia. Almost all the evidence I’ve seen points to them being unusual offshoots of the pointer/setter/HPR family. At first, I thought Dalmatians were the creation of British nobles from the eighteenth century. 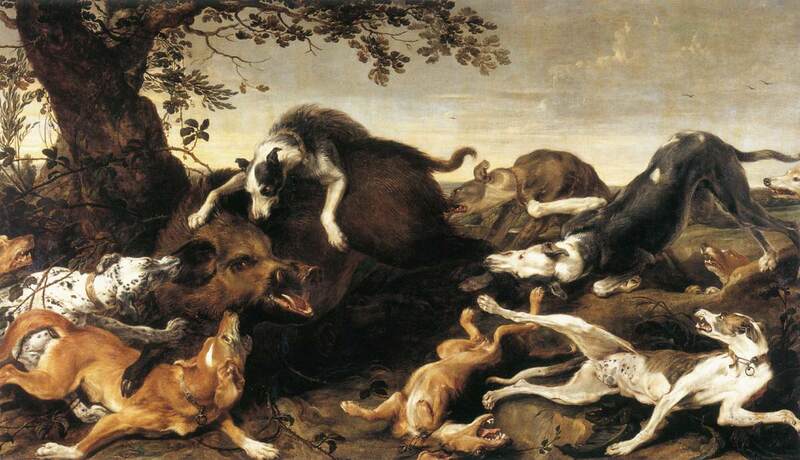 However, I’ve come across some interesting paintings by Frans Snyders, Flemish painter from the late sixteenth and early seventeenth centuries. These paintings show a dog that looks a lot like a Dalmatian. Now, one must be careful before jumping to conclusions about these dogs. After all the dog below the “Dalmatian” in the second painting looks a lot like a golden retriever cross. 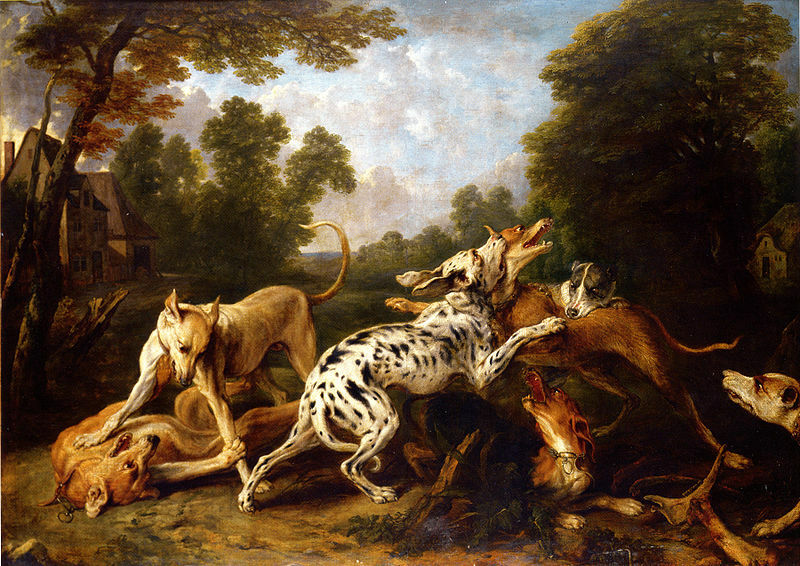 So maybe Dalmatians were derived from pointer-type dogs that got used to hunt big game in the Low Countries. This part of the world was dominated by Spanish Empire for a time, and it would have made sense that Spanish pointing-type dogs would have made an appearance there. Seeing as virtually every strain of continental pointer is used to do boar hunting, it would make sense that this Flemish breed would have a similar use. So maybe these dogs are the first Dalmatians. Hi Rman. Great post. But I have a question. Love the paintings. Interesting to think that Dalmatians or their progenitors looking anything close to the ones we know of today, enough to recognize them as Dals, may have existed hundreds of years ago. The crazy spottedness seems just like the sort of thing you’d expect more value to be placed upon in 20th Century.